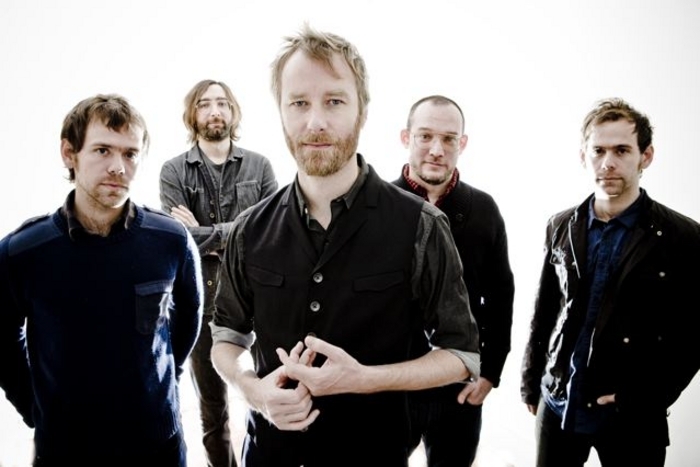 THE NATIONAL, who play the Galway International Arts Festival Big Top on Wednesday July 16, are one of the few groups, if not the only group, of whom it can truly be said, ‘I prefer the later stuff’. Although the band - Aaron (guitar and keyboard ) and Bryce Dessner (guitar ), and Scott (bass ) and Bryan Devendorf (drums ), and charismatic frontman Matt Berninger - released their debut in 2001, it was only with 2005’s magnificent Alligator that they hit their stride. They followed this with the equally good Boxer (2007 ), their commercial breakthrough High Violet (2010 ), and their masterpiece, 2013’s Trouble Will Find Me. The first single from Boxer, it is also the title of Tom Berninger’s (brother of Matt ) revealing documentary on the band. The second track from Alligator. Possibly the band’s best known song. Is anyone else reminded of Pink Floyd’s ‘Learning To Fly’? “Oh when I lift you up you feel like a 100 times yourself...Oh but your love is such a swamp...I said I wouldn’t get sucked in” - The National distilled to their purest essence. This NEU! Inspired track rivals ‘This Is The Last Time’ as the most emotionally intense moment on Trouble Will Find Me.